Sotheby’s and Christie’s began their May super week sales with both Impressionist and Modern sales and single owner collections. Comfortably breaking the billion-dollar mark, Sotheby’s and Christie’s together made a total hammer price of $1.24 billion against the pre-sale estimate of $1,132,500,000 – $1,411,400,000. 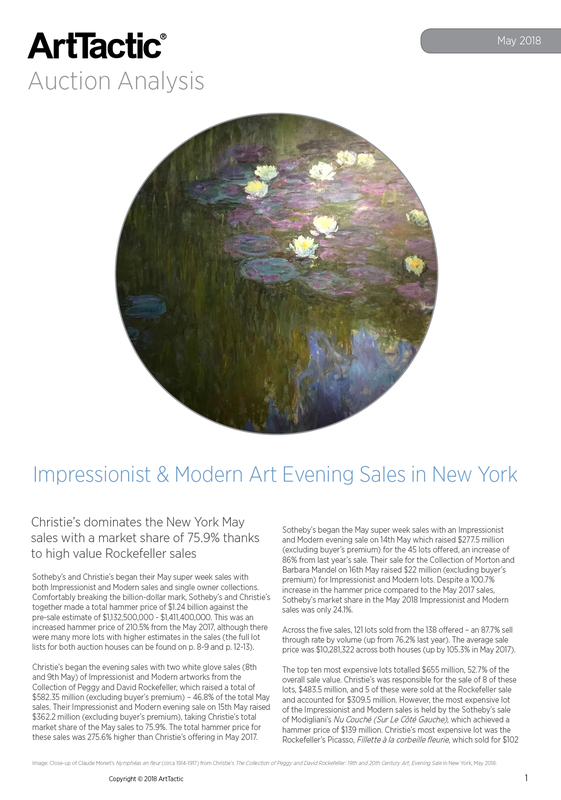 This report presents an in-depth analysis of Impressionist & Modern art Evening sales at Christie’s and Sotheby’s in New York, and provides a comparison of auction trends between the two auction houses. 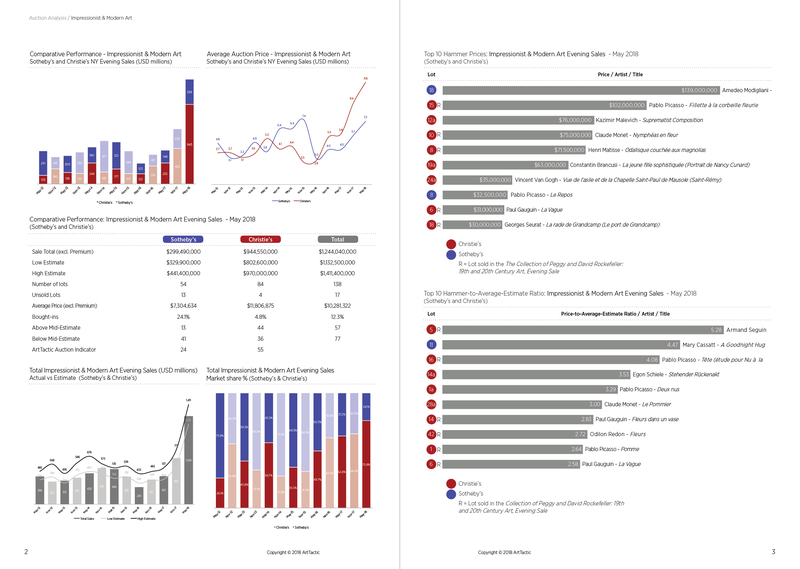 The analysis also provides analytical tools looking at annual trends between 2012 and 2018. What is new in this report? Based on feedback from our readers we have added a new section, which provides a detailed list of all the lots in the auction with its sales (hammer) prices. The list also includes list of guaranteed lots and the number of the winning paddle. This report is popular among dealers, auction houses and collectors, who want to get an in-depth understanding of Impressionist & Modern art auction trends and follow the performance of the top two auction houses in the first part of 2018. Average sale price at $10.2 million: The average sale price was $10,281,322 across both houses (up by 105.3% from May 2017). 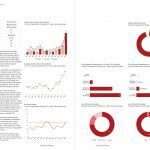 Christie’s dominates New York market in 2018: Christie’s dominates the New York May sales with a market share of 75.9% thanks to the high value Rockefeller sales. Auction Lot Details: Details on the full auction including: hammer prices, guarantees, bought-in lots and winning paddle numbers. 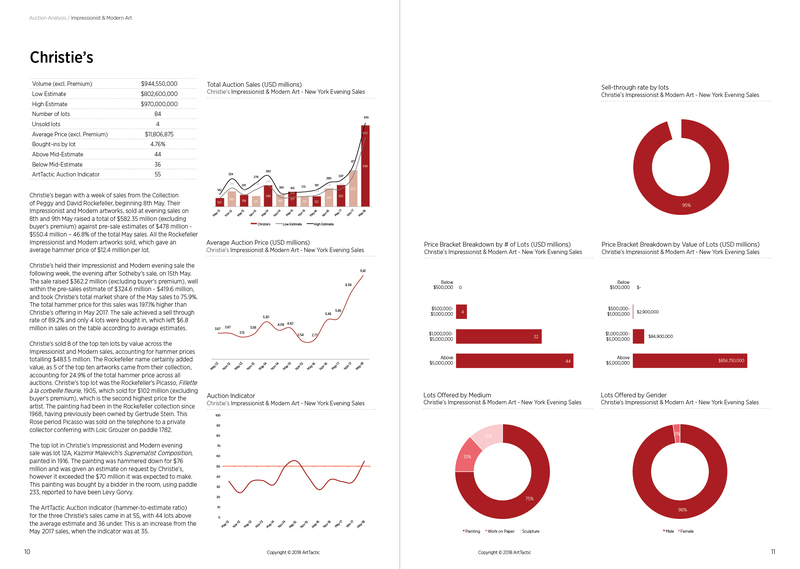 Auction Overview: Top selling artist by value and numbers and a breakdown by type of Auction Bids. Top 10 Prices: Ranking by the highest prices achieved and by top price-to-estimate performance. 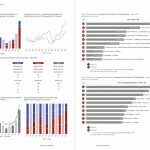 Auction Guarantee Analysis: Auction guarantee breakdown and analysis for Sotheby’s and Christie’s.